Those working in the health care system do so to provide high quality care for their patients. However, often their time is occupied by other tasks, from administration and paperwork to hunting down the supplies they need. The Productive Series, supports point of care providers to lead the changes they feel will provide the best care for their patients and free their time for doing what matters most: providing care. 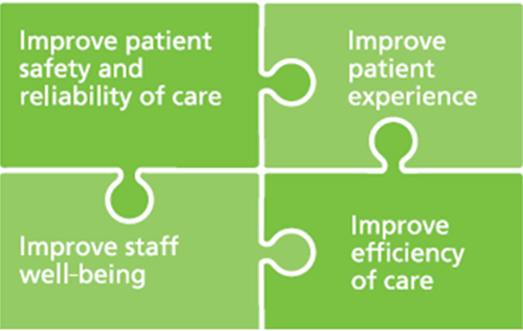 Originally developed in 2008 by the National Health Service in England, The Productive Series encompasses improvement programs in various areas, including Releasing Time to Care (RT2C) for acute, mental health, long-term and community care settings. Trained facilitators (“faculty” members) across the province support the teams with learning and implementation. 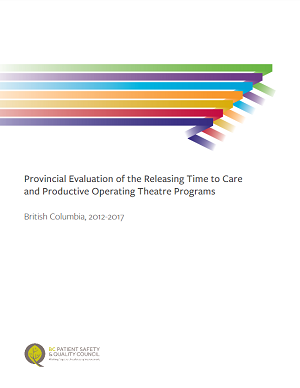 Is RT2C improving quality in BC’s health care system? What are the key factors for success with the program? Does RT2C contribute to improving workplace culture? How effective did RT2C support improvement in its core areas of focus? What impacts are we seeing on direct patient care? A survey in 2015 asked RT2C participants about their experiences implementing the program, and individual teams’ evaluations showed many successes in areas for improvement and activities they defined. What is Releasing Time to Care?